4155600 FD35-1 KOMATSU FD35-1 Diesel forklift. Spare parts catalog. Service Manual. 4155601 FD35C-4 KOMATSU FD35C-4 Diesel forklift. Spare parts catalog. Service Manual. 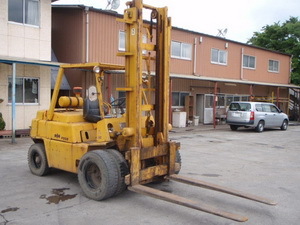 4155602 FD35HT-4 KOMATSU FD35HT-4 Diesel forklift. Spare parts catalog. Service Manual. 4155603 FD35HW-4 KOMATSU FD35HW-4 Diesel forklift. Spare parts catalog. Service Manual. 4155604 FD35NC-4 KOMATSU FD35NC-4 Diesel forklift. Spare parts catalog. Service Manual. 4155605 FD35NT-4 KOMATSU FD35NT-4 Diesel forklift. Spare parts catalog. Service Manual. 4155606 FD35NW-4 KOMATSU FD35NW-4 Diesel forklift. Spare parts catalog. Service Manual. 4155607 FD35ST-4 KOMATSU FD35ST-4 Diesel forklift. Spare parts catalog. Service Manual. 4155608 FD35T-4 KOMATSU FD35T-4 Diesel forklift. Spare parts catalog. Service Manual. 4155609 FD35W-4 KOMATSU FD35W-4 Diesel forklift. Spare parts catalog. Service Manual. 4155610 FD35ZT-4 KOMATSU FD35ZT-4 Diesel forklift. Spare parts catalog. Service Manual. 4155611 FD35T-5 KOMATSU FD35T-5 Diesel forklift. Spare parts catalog. Service Manual. 4155612 FD35ZT-5 KOMATSU FD35ZT-5 Diesel forklift. Spare parts catalog. Service Manual. 4155613 FD35NT-7 KOMATSU FD35NT-7 Diesel forklift. Spare parts catalog. Service Manual. 4155614 FD35T-7 KOMATSU FD35T-7 Diesel forklift. Spare parts catalog. Service Manual. 4155615 FD35W-7 KOMATSU FD35W-7 Diesel forklift. Spare parts catalog. Service Manual. 4155616 FD35ZT-7 KOMATSU FD35ZT-7 Diesel forklift. Spare parts catalog. Service Manual. 4155617 FD35-8 KOMATSU FD35-8 Diesel forklift. Spare parts catalog. Service Manual. 4155618 FD35NT-8 KOMATSU FD35NT-8 Diesel forklift. Spare parts catalog. Service Manual. 4155619 FD35T-8 KOMATSU FD35T-8 Diesel forklift. Spare parts catalog. Service Manual. 4155620 FD35W-8 KOMATSU FD35W-8 Diesel forklift. Spare parts catalog. Service Manual. 4155621 FD35ZT-8 KOMATSU FD35ZT-8 Diesel forklift. Spare parts catalog. Service Manual. 4155622 FD35-10 KOMATSU FD35-10 Diesel forklift. Spare parts catalog. Service Manual. 4155623 FD35NT-10 KOMATSU FD35NT-10 Diesel forklift. Spare parts catalog. Service Manual. 4155624 FD35YT-10 KOMATSU FD35YT-10 Diesel forklift. Spare parts catalog. Service Manual. 4155625 FD35AT-16 KOMATSU FD35AT-16 Diesel forklift. Spare parts catalog. Service Manual. 4155626 FD35AT-17 KOMATSU FD35AT-17 Diesel forklift. Spare parts catalog. Service Manual. 4155627 FD40C-4 KOMATSU FD40C-4 Diesel forklift. Spare parts catalog. Service Manual. 4155628 FD40HT-4 KOMATSU FD40HT-4 Diesel forklift. Spare parts catalog. Service Manual. 4155629 FD40HW-4 KOMATSU FD40HW-4 Diesel forklift. Spare parts catalog. Service Manual. 4155630 FD40ST-4 KOMATSU FD40ST-4 Diesel forklift. Spare parts catalog. Service Manual. 4155631 FD40T-4 KOMATSU FD40T-4 Diesel forklift. Spare parts catalog. Service Manual. 4155632 FD40W-4 KOMATSU FD40W-4 Diesel forklift. Spare parts catalog. Service Manual. 4155633 FD40ZC-4 KOMATSU FD40ZC-4 Diesel forklift. Spare parts catalog. Service Manual. 4155634 FD40ZT-4 KOMATSU FD40ZT-4 Diesel forklift. Spare parts catalog. Service Manual. 4155635 FD40-5 KOMATSU FD40-5 Diesel forklift. Spare parts catalog. Service Manual. 4155636 FD40ZT-5 KOMATSU FD40ZT-5 Diesel forklift. Spare parts catalog. Service Manual. 4155637 FD40T-7 KOMATSU FD40T-7 Diesel forklift. Spare parts catalog. Service Manual. 4155638 FD40W-7 KOMATSU FD40W-7 Diesel forklift. Spare parts catalog. Service Manual. 4155639 FD40ZT-7 KOMATSU FD40ZT-7 Diesel forklift. Spare parts catalog. Service Manual. 4155640 FD40T-8 KOMATSU FD40T-8 Diesel forklift. Spare parts catalog. Service Manual. 4155641 FD40W-8 KOMATSU FD40W-8 Diesel forklift. Spare parts catalog. Service Manual. 4155642 FD40ZT-8 KOMATSU FD40ZT-8 Diesel forklift. Spare parts catalog. Service Manual. 4155643 FD40ZW-8 KOMATSU FD40ZW-8 Diesel forklift. Spare parts catalog. Service Manual. 4155644 FD40N-10 KOMATSU FD40N-10 Diesel forklift. Spare parts catalog. Service Manual. 4155645 FD40T-10 KOMATSU FD40T-10 Diesel forklift. Spare parts catalog. Service Manual. 4155646 FD40TU-10 KOMATSU FD40TU-10 Diesel forklift. Spare parts catalog. Service Manual. 4155647 FD40YT-10 KOMATSU FD40YT-10 Diesel forklift. Spare parts catalog. Service Manual. 4155648 FD40ZT-10 KOMATSU FD40ZT-10 Diesel forklift. Spare parts catalog. Service Manual. 4155649 FD40ZYT-10 KOMATSU FD40ZYT-10 Diesel forklift. Spare parts catalog. Service Manual. 4155650 FD40ZTU-10 KOMATSU FD40ZTU-10 Diesel forklift. Spare parts catalog. Service Manual. 4155651 FD45C-4 KOMATSU FD45C-4 Diesel forklift. Spare parts catalog. Service Manual. 4155652 FD45HT-4 KOMATSU FD45HT-4 Diesel forklift. Spare parts catalog. Service Manual. 4155653 FD45HW-4 KOMATSU FD45HW-4 Diesel forklift. Spare parts catalog. Service Manual. 4155654 FD45ST-4 KOMATSU FD45ST-4 Diesel forklift. Spare parts catalog. Service Manual. 4155655 FD45T-4 KOMATSU FD45T-4 Diesel forklift. Spare parts catalog. Service Manual. 4155656 FD45T-5 KOMATSU FD45T-5 Diesel forklift. Spare parts catalog. Service Manual. 4155657 FD45T-7 KOMATSU FD45T-7 Diesel forklift. Spare parts catalog. Service Manual. 4155658 FD45W-7 KOMATSU FD45W-7 Diesel forklift. Spare parts catalog. Service Manual. 4155659 FD45T-8 KOMATSU FD45T-8 Diesel forklift. Spare parts catalog. Service Manual. 4155660 FD45W-8 KOMATSU FD45W-8 Diesel forklift. Spare parts catalog. Service Manual. 4155661 FD45T-10 KOMATSU FD45T-10 Diesel forklift. Spare parts catalog. Service Manual. 4155662 FD45TU-10 KOMATSU FD45TU-10 Diesel forklift. Spare parts catalog. Service Manual. 4155663 FD45U-10 KOMATSU FD45U-10 Diesel forklift. Spare parts catalog. Service Manual. 4155664 FD45YT-10 KOMATSU FD45YT-10 Diesel forklift. Spare parts catalog. Service Manual. 4155665 FH40-1 KOMATSU FH40-1 Diesel forklift. Spare parts catalog. Service Manual. 4155666 FH45-1 KOMATSU FH45-1 Diesel forklift. Spare parts catalog. Service Manual.